Many early European contacts with the Pacific Islands were made through missions and missionaries. 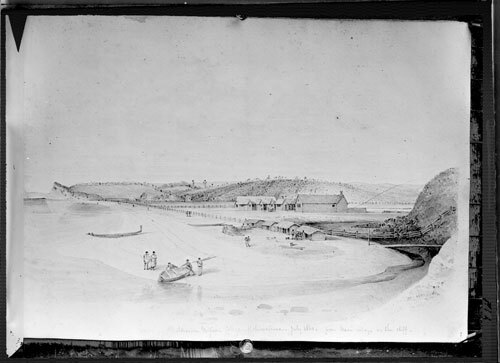 In the early 1860s Bishop Selwyn brought promising young men from Melanesian islands such as the New Hebrides (Vanuatu) to Mission Bay, Auckland, where they were schooled during the summer. After a dysentery epidemic in 1863–64 killed 14 students, the headquarters of the mission were moved to Norfolk Island. Permission of Auckland City Libraries Tāmaki Pātaka Kōrero must be obtained before any re-use of this image.